Why Am I Feeling Lightheaded? Doctors explain what causes that woozy feeling, from dehydration to serious medical conditions. Ever fainted? It’s terrifying, but 90 percent of people who have passed out are absolutely fine, says Venkatesh Thiruganasambandamoorthy, MBBS, clinical epidemiologist at the Ottawa Hospital Research Institute and an assistant professor at the University of Ottawa. As for the other 10 percent, an underlying health condition could be to blame, and that could mean potentially serious health concerns down the road. Fainting, no matter why it happens, is the result of a short period of time when the brain’s blood supply is decreased, explains Lawrence Phillips, MD, an assistant professor of medicine in the cardiology division at New York University Langone Medical Center. It’s tricky to know when fainting or lightheadedness is a cause for concern—even doctors often feel stumped. Here, nine potential reasons you could feel lightheaded and why it happens. No matter what, always play it safe by seeking medical attention for any new symptoms, or ones that don’t resolve themselves. When you feel lightheaded because of dehydration—which includes symptoms like dry mouth and skin, dark-colored urine, and headaches—lying down resupplies the heart and the brain with blood, helping you to feel better pretty quickly, he says. A similar reaction can be triggered when your college roommate jumps out from behind the couch at your surprise birthday party. Your nervous system essentially goes into overdrive in these scenarios, Thiruganasambandamoorthy says, and your blood pressure drops suddenly, leading to lightheadedness. Usually, you do get a little bit of a warning if you’re really going to faint: You might turn a little green and feel nauseated, he says. 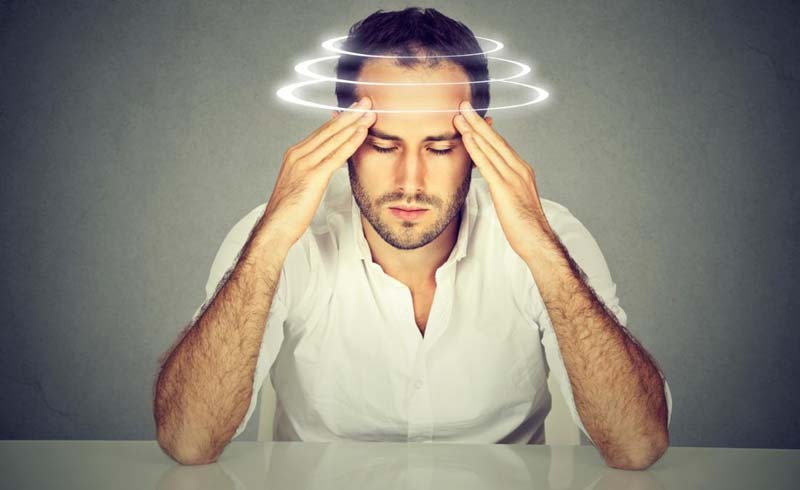 Feeling lightheaded or even seeing black spots in your vision when you hop up quickly from a seated position actually has a name: orthostatic hypotension, which describes a sudden drop in blood pressure upon standing. It’s usually no big deal, but if it happens a lot or if it gets worse instead of better after a few minutes have passed, it’s worth bringing up with your doctor. Compared to the relatively slow onset of symptoms caused by “Surprise!”-related fainting, heart-related fainting comes on fast, so you might not even notice any lightheadedness. An irregular heartbeat, called an arrhythmia, means your heart beats either too slow or too fast, which can in turn affect the blood supply that reaches your brain, Dr. Phillips says. This kind of sudden fainting, often without any warning, is most concerning, says Melissa S. Burroughs Peña, MD, assistant professor of clinical medicine in the division of cardiology at the University of California, San Francisco. “Someone might be in the middle of talking and all of a sudden pass out and wake up on the floor without remembering feeling anything beforehand,” she explains. That kind of experience immediately makes emergency docs think of abnormal heart rhythms, which are the most common cause of sudden cardiac death, according to the Mayo Clinic. Your heart relies on four valves to evenly distribute blood throughout your entire body. However, some people develop problems with their heart valves at birth, meaning their hearts have to work harder to function properly. These congenital issues are likely to occur in younger people, Dr. Burroughs Peña says, whereas people 60 and up are at a higher risk of an arrhythmia. Valve problems can restrict blood flow and may cause lightheadedness or dizziness, especially during exercise, she says. 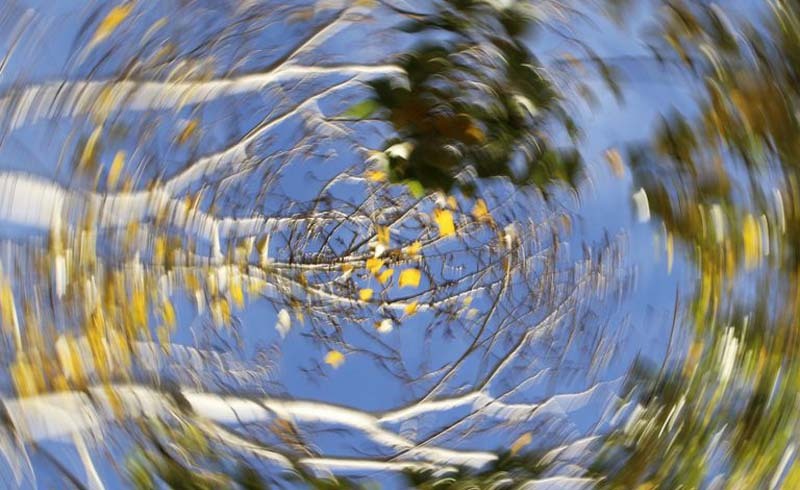 Certain meds, like painkillers and some anti-anxiety pills, can produce dizziness or lightheadedness. This happens because they affect your brain directly or they slow your heart rate or lower your blood pressure in a way that can provoke those symptoms, Dr. Phillips says. “Sometimes when a patient has recurrent lightheadedness and I can’t explain why, I’ll be surprised to find it listed among less common side effects in pharmacy reports,” add Dr. Burroughs Peña, so your doctor may need to double-check your medication list. If you’ve skipped a meal, you probably know what it’s like to feel seriously hangry. That’s because not eating enough can seriously mess with your blood sugar levels—and when your blood sugar dips too low, you may feel lightheaded, since your brain isn’t getting the fuel—aka glucose (a type of sugar)—that it needs for energy. This is more of a metabolic concern, Dr. Burroughs Peña says. Most of the time, grabbing a bite to eat will resolve your symptoms. Pro tip: Stocking up on satiating, non-perishable snacks in your desk drawer (like protein bars) can help you stay fueled on crazy busy days. But if you have diabetes and take medication to lower blood sugar, lightheadedness should be taken seriously, as it might be a sign your blood sugar is dipping dangerously low, she adds, which can lead to seizures and unconsciousness. The flu, a respiratory infection caused by a virus, can cause some nasty symptoms, like fever, muscle aches, chills, sore throat, headaches, and a stuffy nose. But if you’re feeling lightheaded? Blame dehydration and low blood sugar: You probably don’t feel much like eating or drinking, but both can keep lightheadedness and other awful flu symptoms at bay, Dr. Burroughs Peña says. If you feel lightheaded (or dizzy) in conjunction with muscle weakness, difficulty speaking, or numbness and tingling, a stroke (when blood flow gets cut off from an area in the brain) may be behind the symptoms, Dr. Phillips says, and you should seek emergency medical attention immediately. The decrease in blood flow that leads to feeling lightheaded could be caused by a blood clot in the brain, Dr. Burroughs Peña says, which can cause what’s called an ischemic stroke. U.S. Daily News: Why Am I Feeling Lightheaded?